for $799,000 with 4 bedrooms and 2 full baths. This 1,874 square foot home was built in 1975 on a lot size of 1.24 Acre(s). LOCATION! LOCATION! LOCATION! 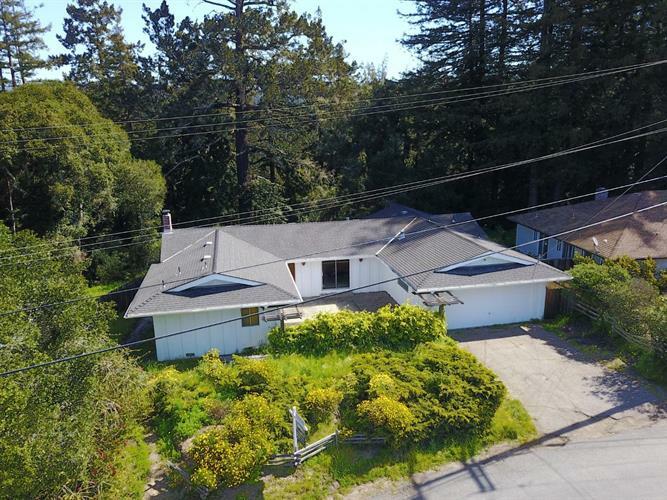 says it all for this spacious 4 bedroom, 2 full bath, single story Ranch style home on a 1.239 acre parcel, which is situated in the sought after Vienna Woods subdivision, above Cabrillo College! This home is a complete fixer upper, perfect for the do it yourself homeowner!. Termite and physical inspections are available upon request. This home features an attached 2 car garage, large living room with a masonry fireplace, nice dining area and a spacious kitchen. All the back windows look out to an amazing forest view, and it's only a short stroll down the hill to the Farm Restaurant & Bakery and the beautiful Cabrillo College campus!